It really can be this easy to get your cat started! Some cats are very slow starters and need to be gradually eased into the concept of working for their food. Some families also cannot afford the fancy stationary foraging boards not knowing if their cat will take to using them. This is our compromise! 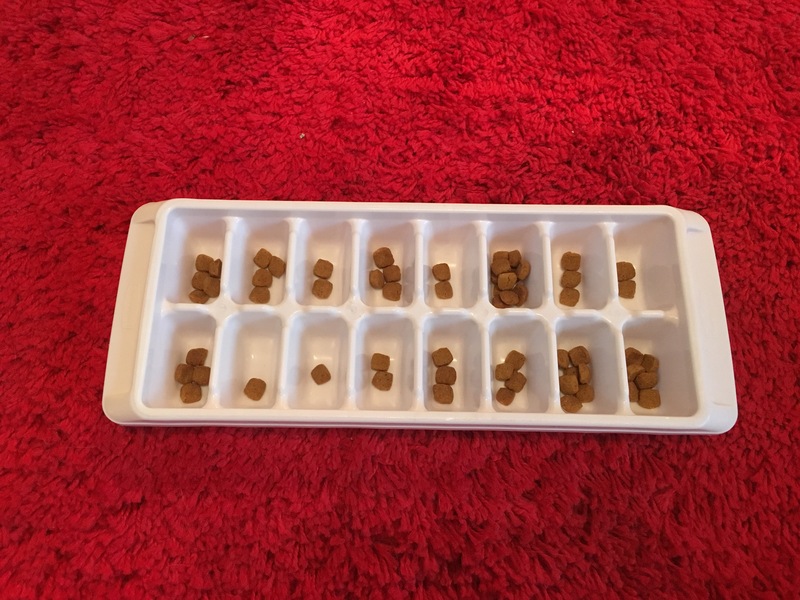 An ice cube tray is incredibly easy and often free or at least inexpensive if you do not already have them sitting around the house. Once your cat has developed the skills to scoop the food out of the little wells with their paw, investing in a more intricate foraging board will not seem so risky. **This can easily be used for canned food too!